Listed: State Species of Special Concern. Description: Coloration of the body is dark grey with a wavy or jagged “zigzag” stripe down the back. This stripe is yellow to red in color. The stripe may be very dark and difficult to see on some individuals. The sides of this salamander are dark with some white speckling. The belly is typically dark grey and may show traces of red or yellow pigment. 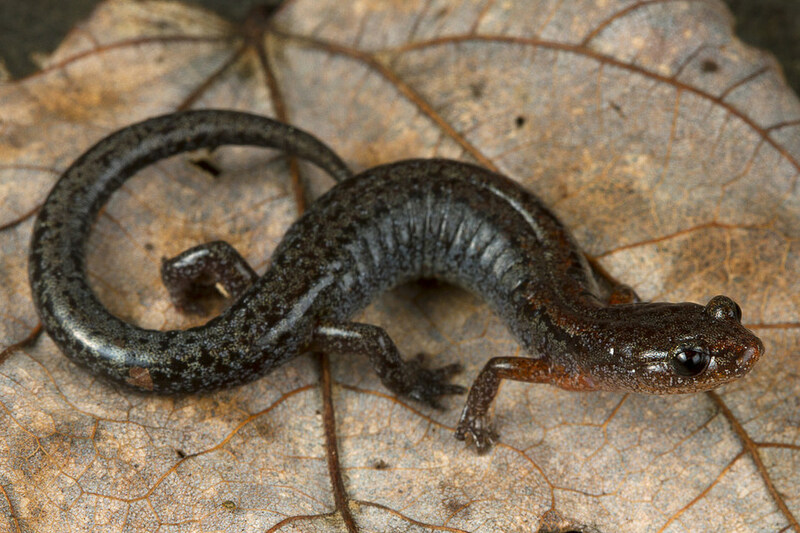 Habitat/Range: The southern zigzag salamanders only occurs in a small area in western North Carolina. 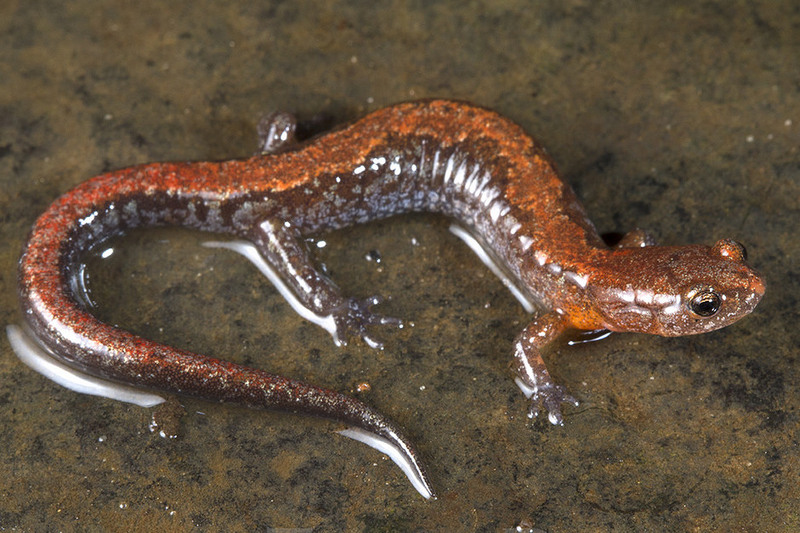 These rare salamanders may be found in wooded areas near springs or cave mouths. They also inhabit rocky areas with deep, cool crevices. During the summer, these salamanders become difficult to find as they become inactive or move to underground retreats. 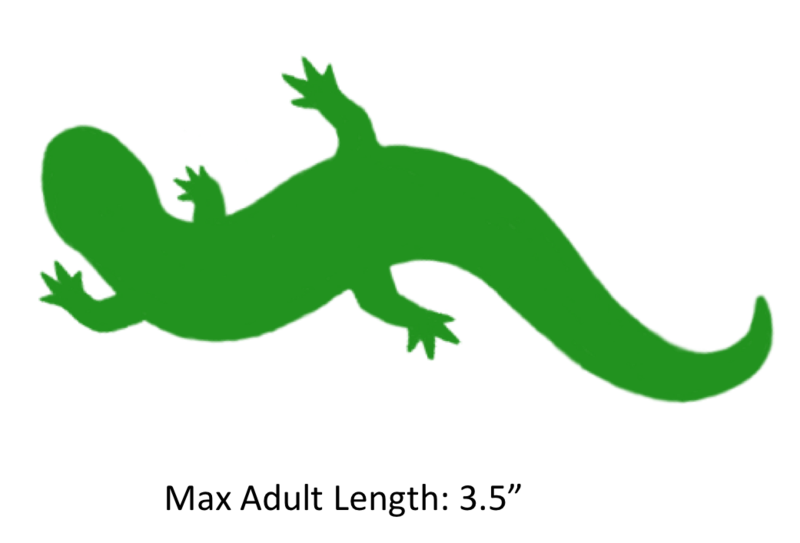 Diet: These salamanders consume a wide variety of invertebrates, especially insects, that may be found on the forest floor. 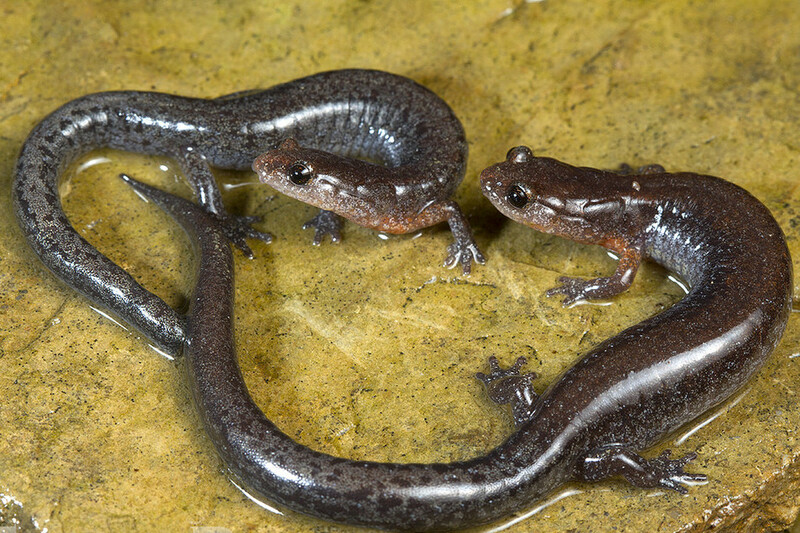 Reproduction: Southern zigzag salamanders lay their eggs deep in underground retreats and the females will remain to guard their eggs until hatching. Hatchlings do not go through an aquatic larval stage. 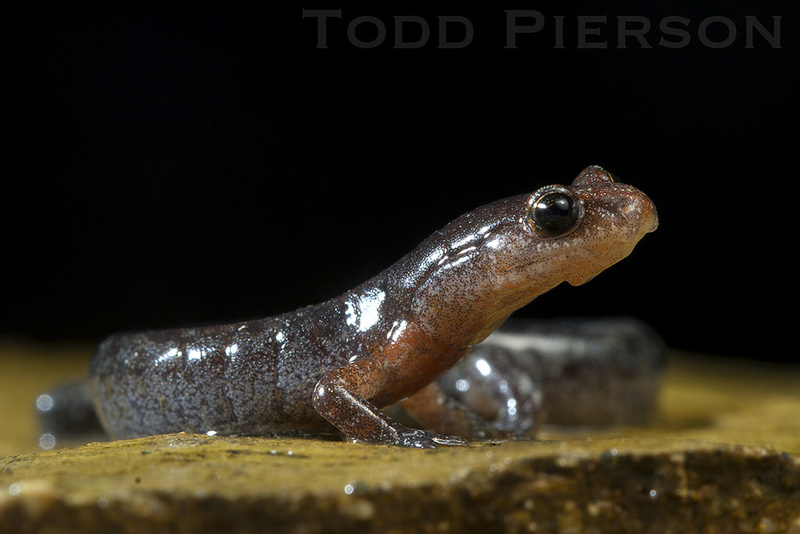 Instead, when young salamanders emerge from their eggs they look like miniature adults. Miscellaneous: Southern zigzag salamanders can release noxious skin secretions which are used to deter predators. The shaded region represents the range of the Southern Zigzag Salamander in North Carolina.